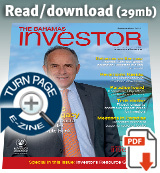 The massive infrastructure redevelopment project at Lynden Pindling International Airport took centre stage in the Fall-Winter issue of The Bahamas Investor magazine. The July-December edition also included an Island Living supplement and Legal Directory. 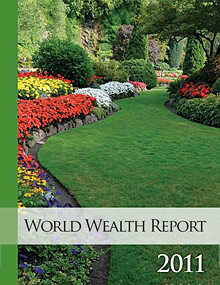 Capgemini and Merrill Lynch Global Wealth Management also released the 2011 World Wealth Report in July. Key findings saw high-net-worth individuals increase by 8.3 per cent and financial wealth growing to $42.7 trillion. Working in collaboration with a technology subsidiary of the Singapore government, The Bahamas government launched a new, improved website (www.bahamas.gov.bs) this month, offering a new user interface with enhanced services for investors and the local community. US airline operator Vision Airlines agreed to run services between several US cities and Grand Bahama. The budget flights started in November. Following on from S&P’s credit rating earlier in the year, the International Money Fund (IMF) remained optimistic through August on the Bahamian economic outlook despite the global economic downturn. August also saw the landfall of Hurricane Irene in The Bahamas, causing damage throughout the archipelago, but fortunately most population centres avoided major destruction. Speaking at the First Regional Seminar on Tourism held in August in Nassau, Minister of State for Tourism and Aviation Vincent Vanderpool-Wallace called for greater use of technology by small and medium sized enterprises (SMEs) in the sector. The two-day seminar attracted tourism representatives from across the Caribbean. September started with the announcement that Wendy Warren, chief executive officer and executive director of the Bahamas Financial Services Board (BFSB) would be stepping down at the end of the year. A key member of the financial services sector, Warren has been at the forefront of the industry in the jurisdiction for more than a decade. 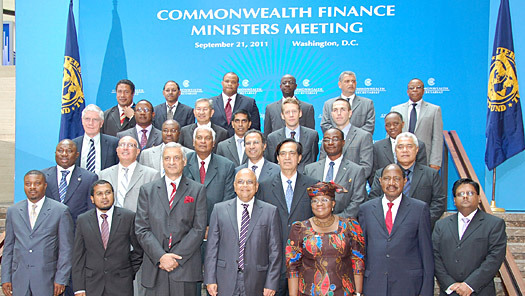 The Bahamas was strongly represented on the international stage in September, with Prime Minister Hubert Ingraham, in his capacity as chairman of the World Bank group and the International Monetary Fund (IMF), addressing the opening of the 2011 World Bank/IMF Annual Meetings in Washington, DC. The Bahamas also sent an delegation from the Finance Ministry to the US Capitol to attend the Commonwealth Finance Ministers Meeting. Furthering bilateral ties with China, The Bahamas government signed an Economic Technical Cooperation Agreement with the Asian economic powerhouse this month, bringing the total value of bilateral technical agreements between the two countries to around $30 million.